In an effort to provide our students and teachers with the tools they need, Randolph Field ISD has implemented an iPad initiative for students throughout the district. Students in grades Pre-K-1 have iPads in each classroom. Students in grades 2-5 will have iPads for their 1:1 use while on the campus. 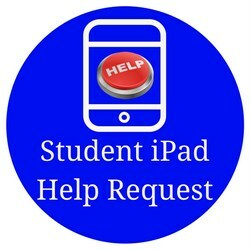 Students in grades 6-12 will have their iPad issued to them 24/7. will have their iPad 24/7 with the Apple ID the parent or student creates. These Apple IDs should not have a credit card attached. If the student has an existing Apple ID, they may use that Apple ID. If that Apple ID has a credit card attached, the credit card should be removed. will have their iPad 24/7 with the Apple ID the parent or student creates. These Apple IDs should not have a credit card attached. If the student has an existing Apple ID, they may use that Apple ID. If that Apple ID has a credit card attached, the credit card should be removed. If the student is under 13, the parent will need to create an Apple ID of their own for the student to use. The Technology Department coordinates all aspects of technical support for the iPads. The cost of each repair is $50, or the cost to RFISD, whichever is less. Never try to repair the iPad yourself or have someone outside of the district repair the iPad as this may cause you to incur additional charges.